Behind the Scenes for the Rodeo Day Performance! February was a very busy month for our Pre-K to 5th grade students. They were trained rigorously to learning the basics of dance, rhythm, and square dance. 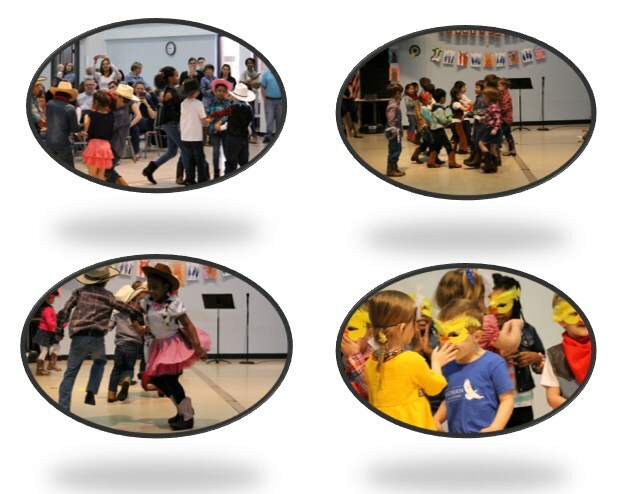 In March they got to show off their skills for their Rodeo Day performance! Why teach Dance to students from 3 years old through 5th grade? Dance education teaches the values and skills of creativity, problem solving, risk taking, making judgments in the absence of rules, and higher-order thinking skills. Dance education helps students develop physical fitness, appreciation of the body, concern for sound health practices, and effective stress management approaches. Children of all ages benefit from the process of learning dance and are provided an opportunity to acquire lifelong skills that lead to a healthier and more active lifestyle. How excited were students at the start of the project to learn and explore the topic? Later how confident were students to present their findings/display a working knowledge of their acquired skillset? We began our dance and movement unit in February and started off with a dance party. This includes everything from following instructions in a song, to freestyle moves, and development of routines. The students get excited in the beginning stages and have a lot of fun being creative along with their classmates. Can you provide us insight into the active learning process and how the principles of this concept carry over in the students’ day to day interaction? Balance, coordination, strength, body awareness (proprioception) are 4 vital things that students learn through dance. Balance: Transferring weight to different parts of your body in time with music. Stepping to a beat, while moving arms in different movement patterns. Body awareness: Knowing where one’s body is in space. To perform a dance routine, a student has to be very aware of where his or her arms, and legs are in relation to their space. In square dancing specifically, students must adapt and work with partners in space in order to preform and not collide with other dancers. Coordination: At an early age, students learn basic steps and dance moves that require different placements of their limbs. Sequencing all movements into a routine requires coordination. These moves often require students to cross their midline (placing hands, and feet in space on the opposite side of their body. Crossing the midline of your body helps build pathways in the brain and is an important prerequisite skill required for the appropriate development of various motor and cognitive skills. Bilateral coordination is the ability to use both sides of the body at the same time in a controlled and organized manner. Being able to coordinate both sides of the body is an indication that both sides of the brain are communicating and sharing information with each other. Strength- Stomping, jumping, twirling, all place increase demand on your child’s muscle. The repetitive nature of dancing and rehearsing continues to build these muscles. Overcoming nerves, and showcasing their skills is a big step for students of every age. Their hard work is rewarded with applause, and an afternoon of delightful activities. Casting a positive outlook on dance encourages students explore a variety of outlets that facilitate movement! Collaborate and create a small dance routine with your child, incorporating the above mind-body connectivity components. Discuss what moves were more challenging than others to perform. Discuss what ways could the student breakdown the movement to better understand how to perform it. 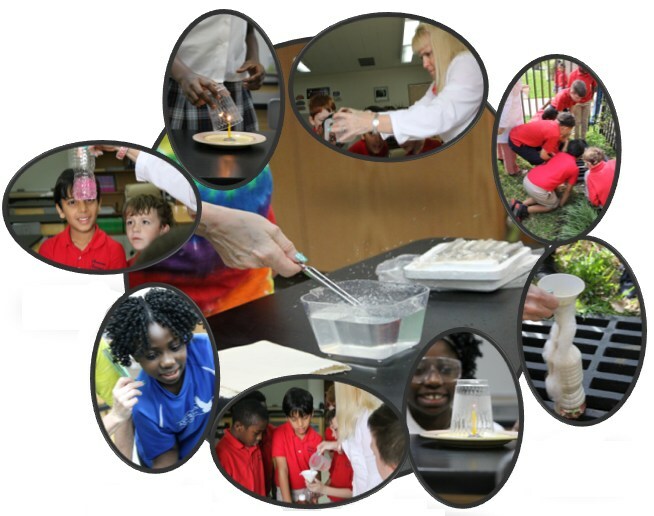 At AES, our Science Department employs both the STEM and STEAM curriculums. Our students participate in dynamic experiments that challenge their hypothesis and encourages them to “think outside of the box”. STEM stands for Science, Technology, Engineering and Mathematics. The STEM curriculum integrates these four disciplines to provides students a cohesive learning experience that can be applied to real world applications. These projects can range from a LEGO zipline to a robotic arm for paraplegics. STEAM stands for Science, Technology, Engineering, Art, and Mathematics. The STEAM curriculum has the added component of art. The element of art is utilized to bring attention to design, communication, and creative planning, to construct projects like magnetic doodles or a floating garden. What is the students’ response to the STEM and STEAM projects? The students are ecstatic! They get so revved up and eager to start. They ask to help with the setup and assist in demonstrations. The STEM and STEAM projects are their favorite part of science class. The greatest part of the STEM and STEAM curriculum is that they combine the four to five areas of academia and the students hardly realize it! To them it is all fun and exploration. They are so enthralled with the process, that I often have to stop and point out to them that they just applied an engineering concept or scientific concept. This will generate thoughtful and inquisitive questions. The students find themselves wanting to learn more about the mechanics of a project or the intuitive math that drives physic component. The students are learning how to layer their knowledge to innovate and solve fun hypothetical and real-world problems. The students are learning the necessary skills to solve problems in a dynamic way. They are challenged to think beyond the existing technology of today to create something new or improve an existing innovation. These are the skills that they will need as they progress to high school and beyond. STEM and STEAM are the paths of our future technology. It is exciting to have the opportunity to learn and grow with my students as they explore the boundaries of their imaginations to bring their ideas and to life. What is the Common Sense Award? Common Sense is a national nonprofit organization dedicated to helping kids and families thrive in a world of digital media and technology. Common Sense has recognized Ascension Episcopal School as a Common Sense School! What are the criteria to be eligible for the Common Sense Award? To be considered for this award, Ascension Episcopal School had to demonstrate its’ commitment to taking a whole-community approach to preparing its students to use the immense power of digital media to explore, create, connect, and learn, while limiting the perils that exist in the online realm, such as plagiarism, loss of privacy, and cyberbullying. This recognition acknowledges our school’s commitment to creating a culture of digital learning and citizenship. "We applaud the faculty and staff of Ascension Episcopal School for embracing digital citizenship as an important part of their students' education," said Liz Kline, VP, Education Programs, Common Sense Education. We would also like to congratulate Denise Dorris and Jenni Campbell-Watt, Ascension Episcopal School Librarians, for being awarded the Common Sense Educator Award! We are lucky to work with passionate educators like you who are dedicated to helping kids thrive in a world of media and technology." Ascension Episcopal School deserves high praise for giving its students the foundational skills they need to compete and succeed in the 21st-century workplace and participate ethically in society at large." Who established the Common Sense Curriculum? Ascension Episcopal School has been using Common Sense Education's innovative and research-based digital citizenship resources, which were created in collaboration with Dr. Howard Gardner of the GoodPlay Project at the Harvard Graduate School of Education. The resources teach students, educators, and parents tangible skills related to Internet safety, protecting online reputations and personal privacy, managing online relationships, and respecting creative copyright. The free resources are currently used in more than 100,000 classrooms nationwide. We are honored to be recognized as a Common Sense School. By preparing our students to use technology safely and responsibly, we are providing them unlimited opportunities to maximize and personalize their learning. For more information about Ascension Episcopal School, go to www.aeshouston.org . 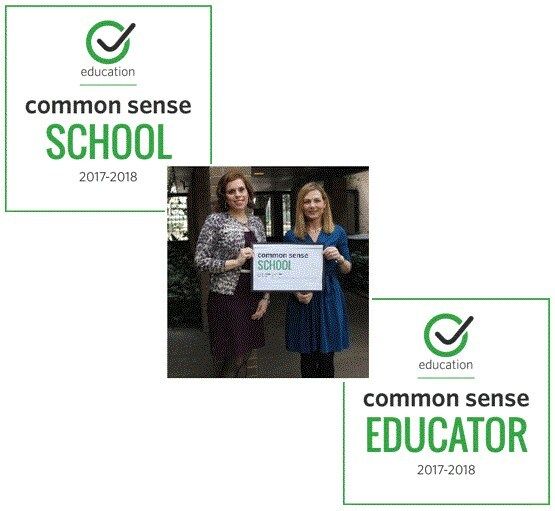 To learn more about the criteria Ascension Episcopal School met to become recognized as a Common Sense School, visit https://www.commonsense.org/education/recognition-schools. AES Eagles have been working on their keyboarding skills this winter using our subscription to Typingclub.com. It's an excellent touch-typing tool. This web-based tool has straight forward exercises and fun games to help students develop accurate keyboarding skills quickly. Typing Club is a web based keyboarding tool that we have subscribed to for first through fifth grade. 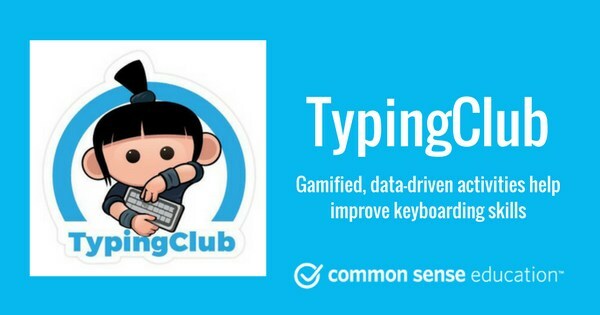 The Typing Club lesson plan contains over 600 lessons, guiding students from individual keys through numbers and punctuation, and all the way to a goal of 75 WPM. The carefully designed lessons include instructional videos, educational games, cross-curricular content, and other interactive experiences. Students can log in to Typing Club using their Office 365 account so they can practice at home or wherever they have an Internet connection. It is accessible from the school website on the library links page. Why teach technology in Elementary School? Technology at Ascension is taught in two parts: Digital Citizenship and Technology skills. Digital citizenship is a way to prepare students/technology users for a society full of technology. The current generation of children are being raised in a digitally connected world and have been using devices and computers for the majority of their lives. By implementing digital citizenship into our curriculum our students are getting the benefit of learning the fundamentals of how to navigate and behave in this digital world. They are learning how to be safe online, how to search effectively and how to discern whether online information is true or false. Students are very aware of cyber bullying and have learned how to respond to it as well as becoming opposers and standing up for those who are cyber bullied. Most importantly our students are learning to be responsible citizens of the digital world. We are a recognized Common Sense School which means we are successfully implementing the common sense media digital citizenship curriculum. We teach technology skills primarily through the Microsoft office suite. Students learn how to use Microsoft Word and PowerPoint through their own Office 365 account. We also develop student's touch typing skills through the Typing Club program. Our students greatly benefit from learning these skills as they will have the basic skills to build on as they utilize these programs (or something similar) in future education. Office 365 is a web-based version of Microsoft Office. At Ascension, all students from first through fifth grade have their own Office 365 account that they can log into from wherever they have Internet access. It gives them access to Microsoft Word, PowerPoint, Excel and other Microsoft products. Are there any "take-aways" for the students and/or parents? By including technology into the Ascension curriculum, the parents/caregivers of our students are becoming more aware of the importance of intelligent engagement online. Most middle schools expect a certain level of basic technology skills and we believe the technology teaching at Ascension will put students in excellent stead as they advance. Also, with students learning to have their own moral compass when online, they can navigate online securely and smartly. Instead of avoiding exposure to the digital world, we are giving the students the skill to make sound judgments themselves and be good examples of digital citizens for others online.